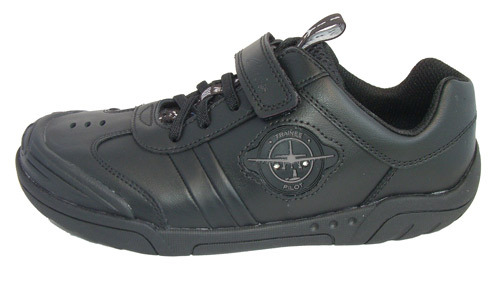 Clarks Wing Raid – Super Jet Pilots in training will love the Clarks Wing Raid infant boys school shoes. 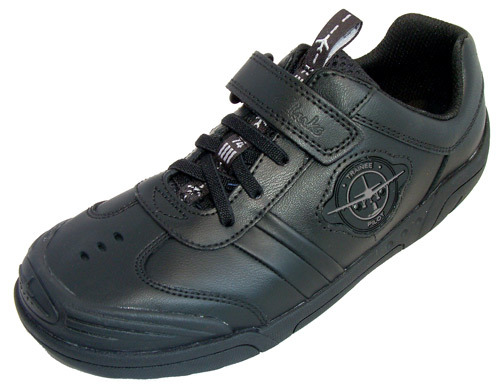 Crafted from black leather, these boys shoes are part of the exciting Jets range with aeroplane detailing adding a playful edge to a practical pair. 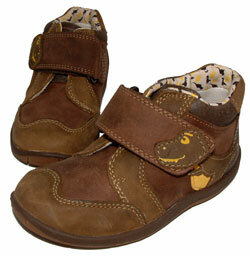 These also feature flashing red and green lights to the aeroplane detailing to the side – little ones love them! 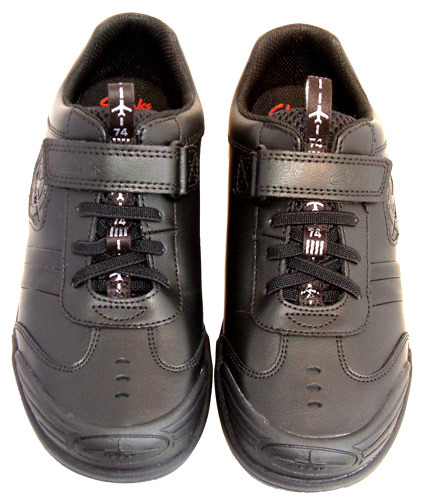 With an elasticated lace and single velcro fastenings the Clarks Wing Raid boys shoes are secure and comfy. 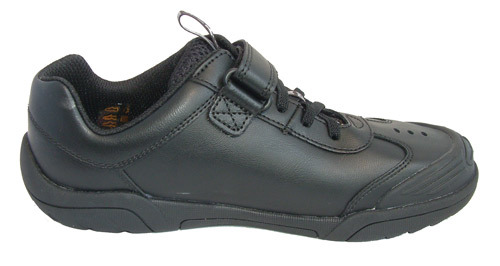 Finished with Agion antimicrobial linings, they keep feet feeling fresh. 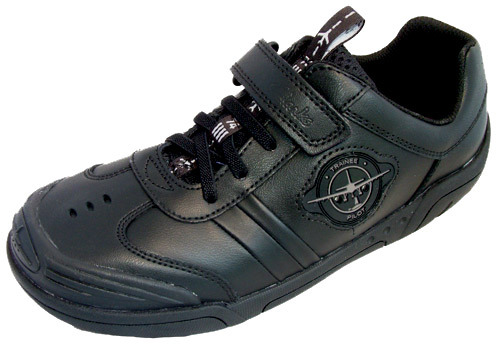 New for 2018 these are great shoes for school at a great price!